"A true ninja is a master of herself and her environment. So don't forget, we're Mothers!" Okay...so maybe Leonardo didn't say this exactly in Secret of the Ooze. But, close enough dude. 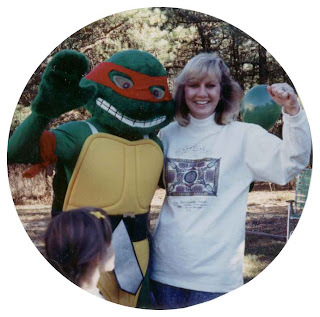 My Mom put up with a lot of TMNT madness over the years. So to her, and all other mothers around the globe, Happy Mother's Day from The Sewer Den. Ah, to be the mother of a Ninja Turtle fanatic, what else could a mother ask for! Love you Johnny!